We’ve found another awesome free food offer! 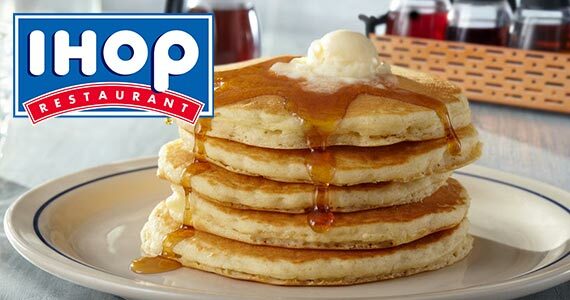 Right now, when you join IHOP’s MyHop loyalty program, you’ll get free pancakes! Get a free meal for signing up, another one on your birthday, and another one every year anniversary of joining the loyalty program. So you get free food now, 1 year from now, and a great birthday freebie. To claim the offer, fill in your information on the registration page. You will receive your welcome offer to your inbox within 24 hours of joining. IHOP is a chain of restaurants that are famous for their delicious pancakes and breakfast offerings, but also serve burgers, sandwiches, salads, appetizers, and more!